Located near the Historical Roselawn Chapel, a limestone wall is the backdrop for the newest cremation columbarium. Serene pond, gardens and unique bronze sculpture add to the beauty of this peaceful resting place. 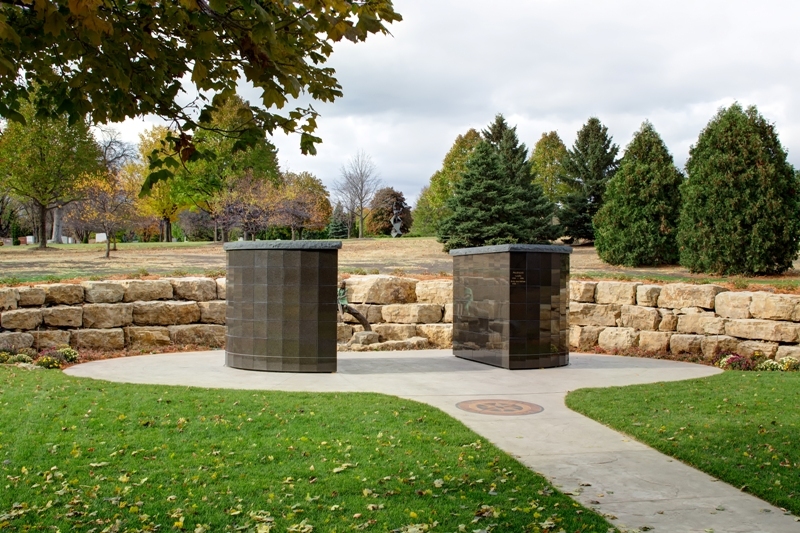 The Split Rock Garden has 312 niches in the columbarium and Construction was completed September 2012.